The stamp pad that does it all! 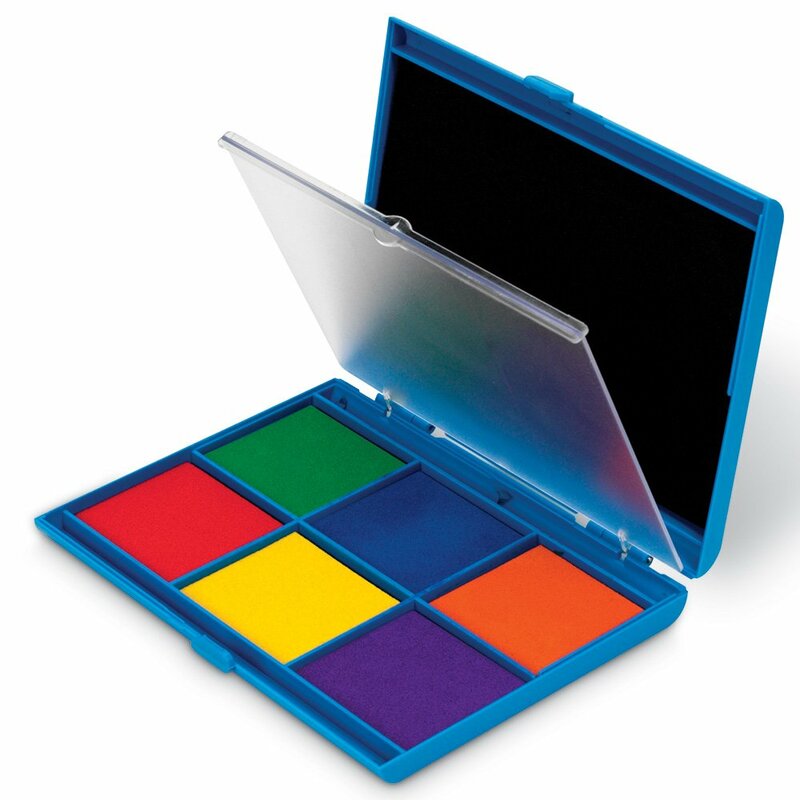 Clear plastic divider between 6-color paletteand jumbo black stamp pad keeps colors fresh and true. Washable ink for easycleanup. Colors include green, blue, orange, red, yellow and purple for avariety of creative possibilities. Pad measures 6½"L x 5"H. Grades PreK+.